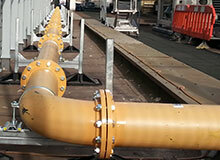 INDUSTRIAL AND COMMERCIAL PIPEWORK SPECIALISTS. Here at CMS we specialise in the fabrication and installation of industrial and commercial pipe work, mechanical services and building services systems. These include Heating, Cooling, Water Supply, Drainage and much more. We can carry out new installations as well as modifications or maintenance to existing systems that may require additions, repairing or updating. Our quality installations are currently successfully serving properties such as International Airports, Television Studios, Hospitals, Schools, Data Centers and many more. Our core business is Pipe Fitting and Fabrication, something we take great pride in and aspire to be the very best at. We are fabricators of all types of pipe work including Carbon Steel and Stainless Steel. Our extensive knowledge and expertise mean that we are capable of undertaking and completing all projects entrusted to us. Whether its a full metal installation you require or speacialist plastics we can do it. EXPERT METAL FABRICATION WHEN AND HOW YOU WANT IT. Whether it is to fabricate pipe sections for building services systems, fabricate steel frames to support plant and equipment or both we can do it. We offer an extensive bespoke service to manufacture and supply steel fabrications. If it is a one off product that you are looking for then we can help. We are always willing to assist in the design to help meet your needs and produce the product that you require. If in doubt please contact us, we are always happy to help. 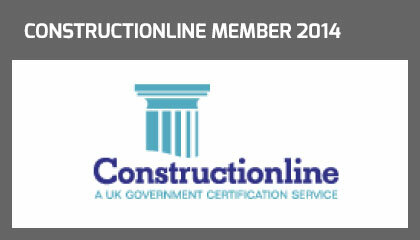 REPAIR, SERVICING, ALTERATIONS & MAINTAINANCE. CMS offers an extensive maintenance and repair service. As well as carrying out planned maintenance tasks on building services equipment we also specialise in heavy maintenance aspects which may require major alterations or re configurations of existing equipment in order to carry out the necessary repairs. With the equipment available to us and our extensive knowledge we are able to carry out repairs on most products including thin sheet metals and stainless steel. From motorcycle exhausts to garden gates, we are more than capable of producing the results that our clients require. An ongoing CMS client involving extensive and varied works carried out at Gatwick airport throughout 2014 including construction and installation of the new gas main. GET IN TOUCH WITH AN EXPERT AT CHANDLER MECHANICAL. Please fill out the form below, where we will respond to your enquiry as soon as possible. HAVEN'T GOT TIME TO TALK TO US NOW? SAVE OUR DETAILS FOR LATER.